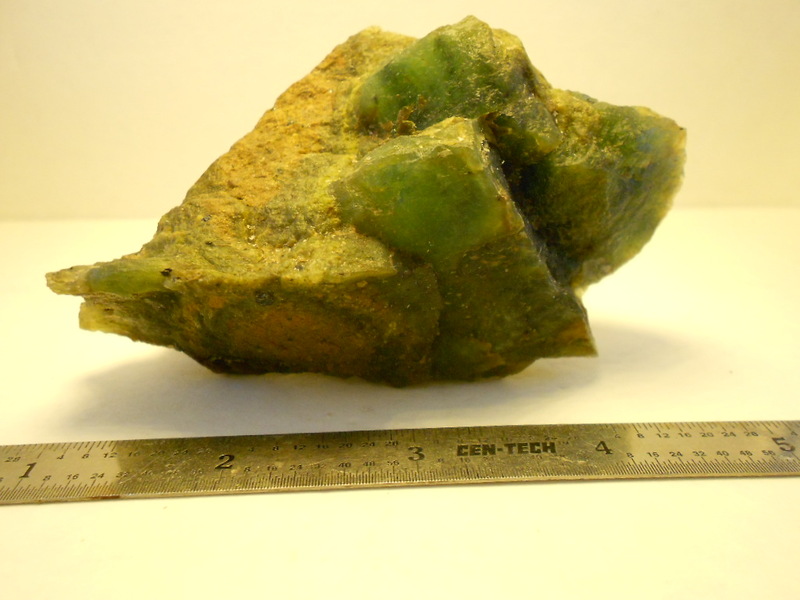 I work in jade and bowenite, I know that bowenite is also referred to as serpentine. I see James K posted photos of some of his work in black serpentine. So my questing is the bowenite I work 90% of the time it is see thought in a lot of different ranges of a yellowish green to a brilliant blue with black specs through it. So other out there who work this stone does it have the same see through as what I have been working? I would like to know where else this same type is through out the world. I have done some research but only seem to find other place out side of New Zealand that have the black type serpentine you can see through. Now some of the photos James K listed looks the same as the stone I work can you see through it? Oh yes also is Bowenite just a gem quality serpentine or a completely different stone? I get conflicting info on it from people I have talked to and read? I have attached 2 photos same piece one is backlite to show color I am talking about. 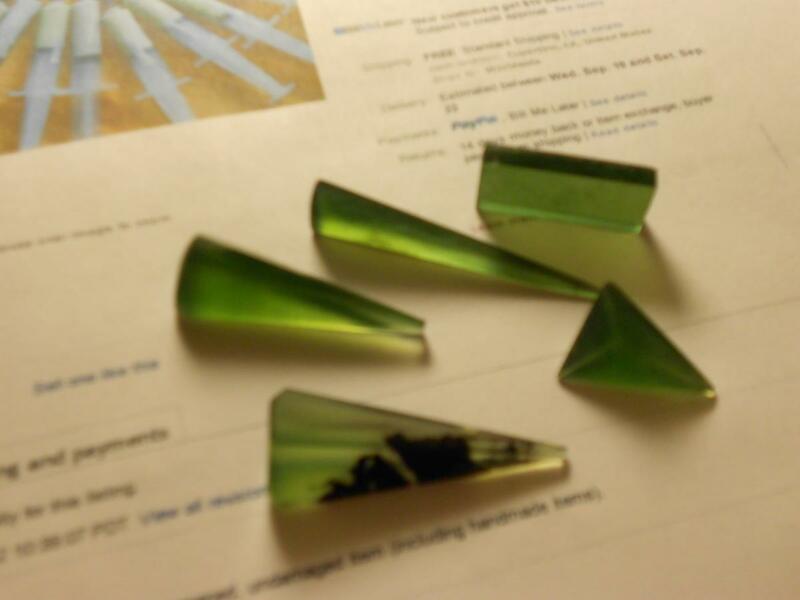 All my serpentine is flat, opaque green or brown. I have some idocrase from California (a serpentine and nephrite conglomerate) that is light green and medium green with dark specks. It is translucent in areas, opaque in others. Haven't carved it yet. I have carved a jasper (imperial jasper) which has the same translucent quality. 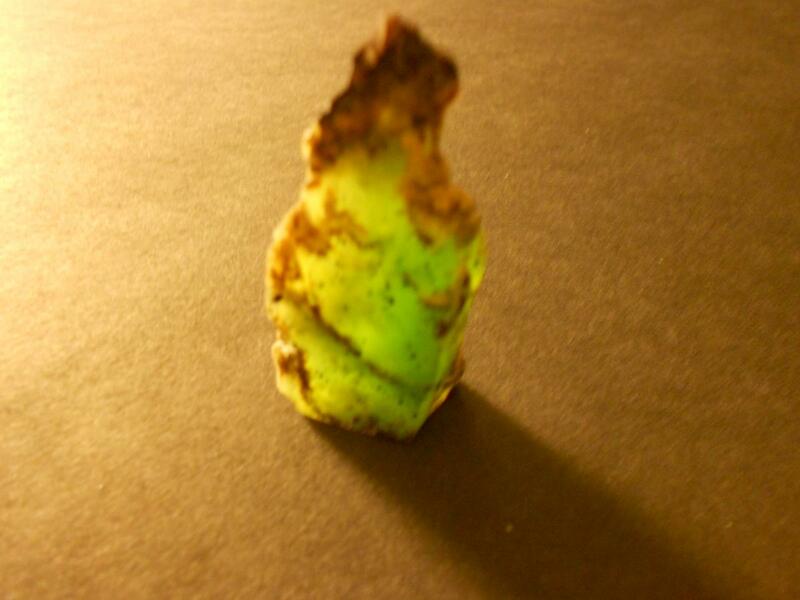 It is a very dark green and appears totally opaque unless backlit. Mine had a white inclusion, not black, but I suppose that is just the luck of the draw. If you'd like to see an example of this material, go to http://picasaweb.google.com/deborahkirkpatrick56. Sorry I didn't attach the photo, it's been so long since I've done it, I don't remember how. 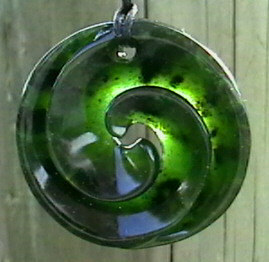 The piece is in the pendants section and down at the bottom of the page called "Catfish". My jasper came from Mexico, and this particular piece had about a 7+ hardness. 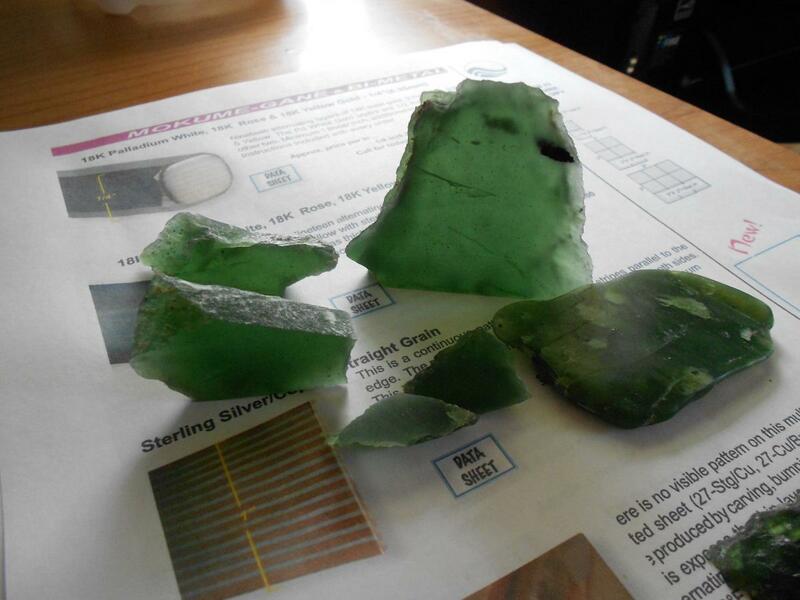 I'm currently working with a piece of California nephrite which isn't quite as hard, 6.5 -6.75, I'd estimate. The jasper didn't shatter or pose any real difficulties, and polishes like a dream, no orange-peeling. I found it a lovely stone to work with, but it's hard to get others to appreciate it, it's just jasper, and the magical quality of it is the translucently which is not apparent unless it's handled. I liked your work very much on the Jade Studio website. It's nice to see another stone carver here. The serpentine I collect is very much like what you have there, I get it locally. The owl in my pics is aprox. 190lbs, the claws are see through. What I have found is that serpentine/bowenite-same thing to me- has many different colors/hardnesses from black to yellow. 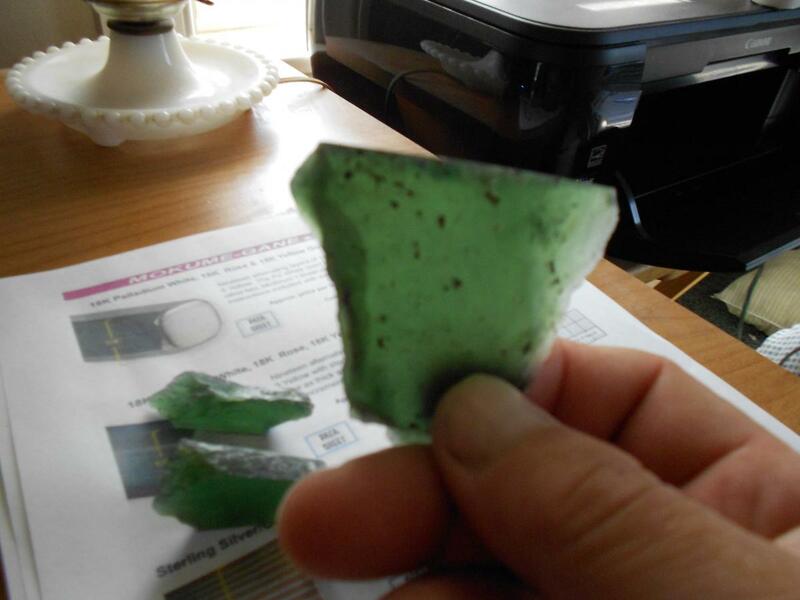 Some are murky or solid green and not translucent others are spotted, what Im calling Leopard Serpentine and is translucent and looks identical to what you have pictured. I have several specimens form around the globe, it is a plentiful mineral. 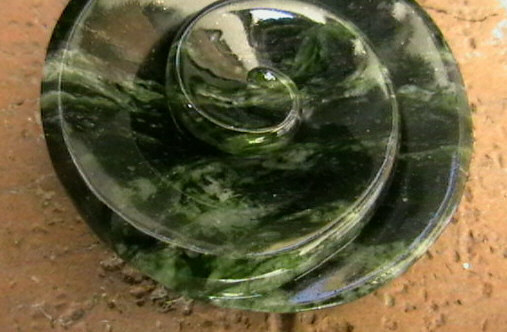 I also know it as serpentinated (green) marble, ever heard of that? I like carving it and have Lots, some of it looks identical to jade...but of course its not I did several specimen stones-Serpentine mixed with granite/jasper, massive garnet that were too highly figured to carve but are just down right Beautiful, I'll post some more on my intro so you can see the diversity of the stone. I have one 400#+ piece that was dragged off a mountain top here that is very hard but is not jade and its black nice texture is inviting...I'll get to it eventually. Hope this helps. Hei Terry, here in Finland we are having different kinds of serpentine, but the best quality comes from northern parts of Finland. The mayfly I have made is from those resources. It's a nice stone, not too hard but the shine is usually not that bright. Anyhow, I like it and we are having it a lot. Lauri. I have been asked to do a family project, but with all my experience being in wood and bone, I saw your posts and was hoping to get some direction from you on refining jade into a piece of jewelry (heirloom). 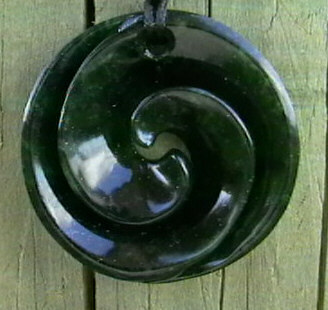 Have the gift (jade) and a air driven hand piece but not a clue on the right bit material to carve down the material, nor sand and buff into something as brilliant as your koru. Any tips you can offer.